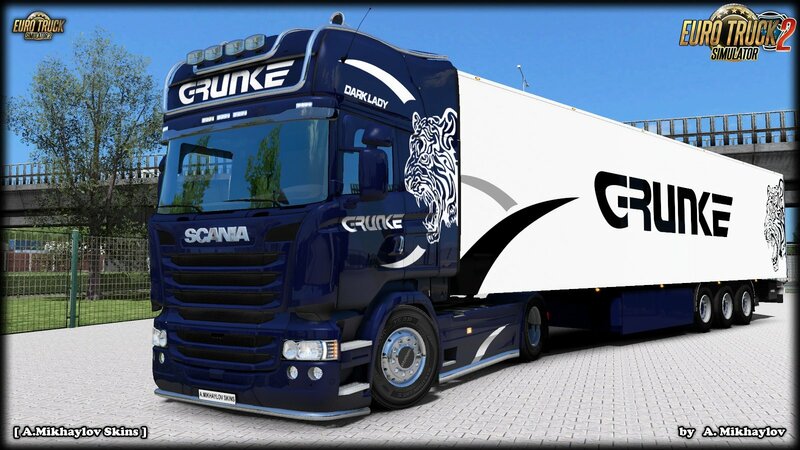 Grunke Transport & Spedycja Skin Pack v1.0 (1.32.x) for Euro Truck Simulator 2 game. My mod must have a higher priority than the “New Volvo FH” and “Kogel Cool Maxx” in the Mod Manager to work properly. Please, keep the original link.